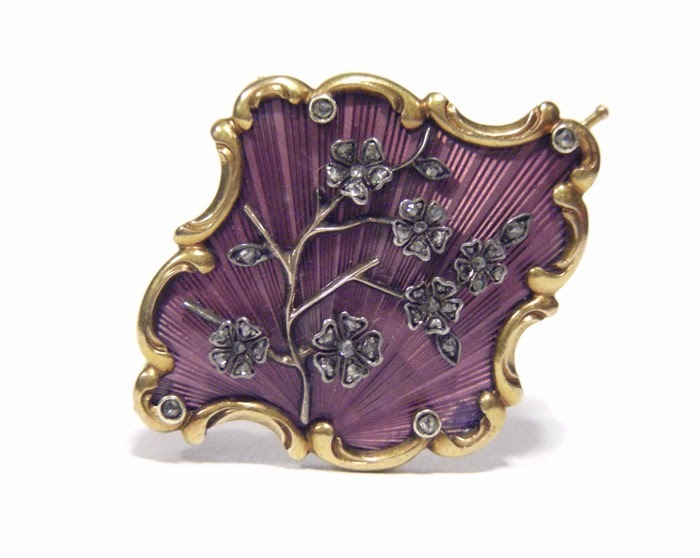 Today I have yet another Fabergé item that reminds us about spring - a cherry blossom brooch, made sometime before 1896! The brooch is covered in translucent mauve enamel over a sunburst ground. It is decorated with a branch holding diamond set cherry blossoms. The rocaille border is made of yellow gold, and highlighted with diamonds. The measurement across the brooch is 1.4 '' (3.5 cm). If you want it, contact Wartski.